The Middle East region now has its first two-way capable bitcoin ATM after Wednesday evening’s launch of a new Robocoin machine, or ‘branch’, at a fashionable Tel Aviv Hotel. This gives Israel residents and visitors a new option to enter the bitcoin economy, rather than going through one of the online exchanges, which meant bank transfers, or buying face to face. ATMs and bitcoin vending machines are also aimed at exchanging smaller amounts of fiat currency, which means they’re more appropriate and user-friendly for newcomers. 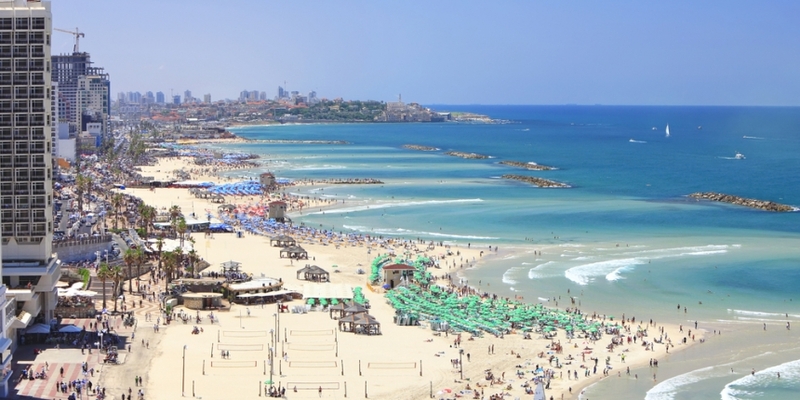 It also gives tourists a new way to obtain local currency and foreign workers in Israel a new and simpler option to take locally earned shekels and send them to families back home – provided there is another ‘cash-out’ bitcoin ATM at the other end. Gruber’s claim that this is actually the first ‘bitcoin ATM’ in the Middle East is open to debate, however. Dubai company Umbrellab demonstrated integration of a bitcoin-buying service in one of the city’s ManGo payment kiosks back in April and the Bitcoin Embassy hosts a one-way Lamassu machine. Umbrellab says it has plans to introduce bitcoin buying to 300-400 ManGo kiosks eventually. At this stage the kiosks allow only for purchase of bitcoins, not sale. Israel, arguably the world’s most significant technology startup hub outside of Silicon Valley, has displayed a generally friendly attitude to bitcoin so far and is home to several venture capitalists, well-known cryptocurrency projects such as Mastercoin, and bitcoin evangelists like Meni Rosenfeld. The Inside Bitcoins Tel Aviv conference will also take place on 28-29 July at the Hilton Tel Aviv, featuring various luminaries from all sectors of the bitcoin economy. Michael Eisenberg, partner at early-stage VC firm Aleph, wrote earlier this year that the country should leverage its talent, and capitalize on entrepreneurial dissatisfaction with the US’s regulatory mire, to become a bitcoin center. The new ATM will launch at the Townhouse Tel Aviv hotel in the evening of Wednesday, 11th June.